On September 18th, T.E.A.L. 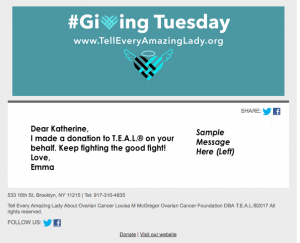 took part and testified in the hearing for Resolution 380 which seeks to officially recognize September as Ovarian Cancer Awareness Month in New York City. 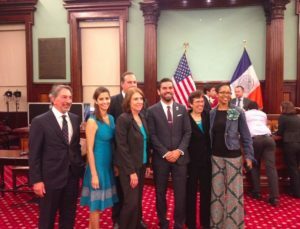 Advocates and supporters gathered at the City Council Chambers at City Hall, New York to advocate the necessity of this resolution. T.E.A.L. CEO testified in favor of this resolution and took part in a panel discussion. Other panelists included Executive Director of SHARE Jacqueline Reinhard, SHARE ambassador and Ovarian Cancer Survivor Lisa Franklin, NOCC NYC Regional Chapter Manager Kitty Silverman, Director of Tina’s Wish Foundation Andrew Brozman and Memorial Sloan Kettering Gynecologic Oncologist Dr. Nadeem R. Abu-Rustum. Council Members Corey Johnson and Rafael Espinal lead the discussion joined by several other members of the council. On September 23rd, T.E.A.L. 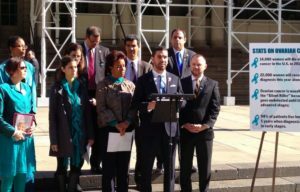 was invited to speak at a City Hall press conference introducing the resolution to the public, and The New York City Council officially voted yes on the resolution.